I’m looking at it tonight. 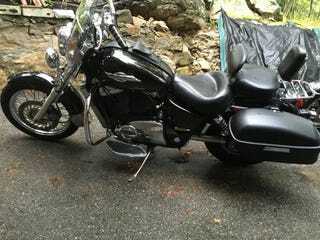 1995 Honda Shadow ACE 1100 with a bunch of add-ons for less than the bike itself is probably worth without them. I’ve been wanting to switch to a cruiser, and this might just be it. Also, my Honda PC800 is for sale, regardless of whether I pick this up or not.